One of the most frustrating parts of the 2016 presidential campaign - and this campaign has brought a lot of frustrating parts - is the demonization of refugees by politicians. It's particularly alarming to see politicians court Christian voters with such rhetoric. I noted this in my new book (Vote Your Conscience: Party Must Not Trump Principles) as I recounted listening to Ted Cruz blast the idea of welcoming refugees while holding a campaign event inside a church's sanctuary on a Sunday evening. Yet, the scriptures are clear: we are called to welcome refugees. Too many Christian activists excuse or even support the anti-refugee rhetoric of their preferred politicians. If politicians are setting the agenda for how we discuss moral issues, then churches are failing. That is why we can't be apolitical. 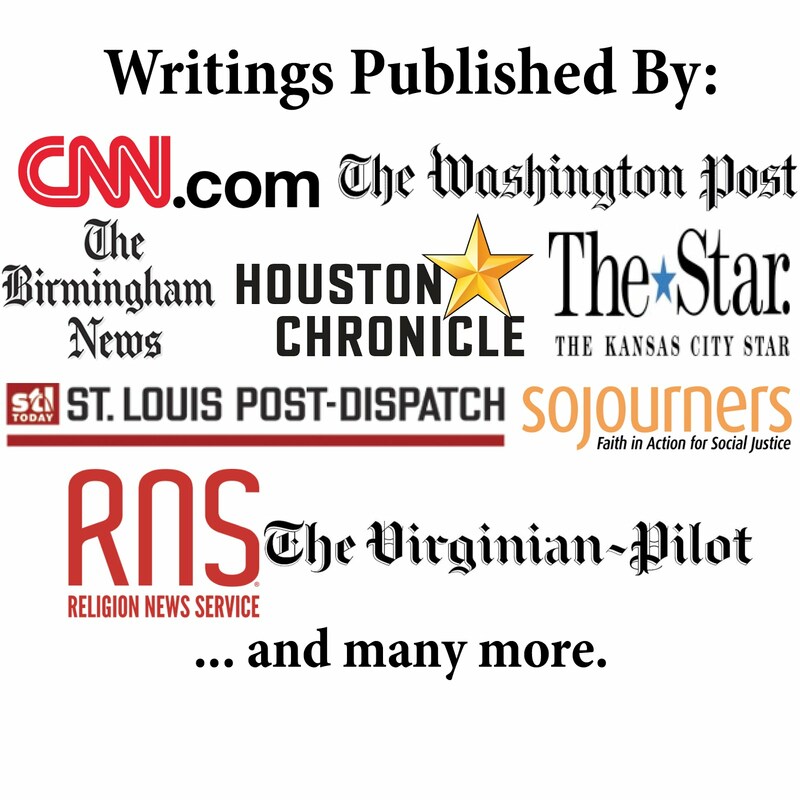 We must proclaim the religious teachings of the Bible that also bring inherent political implications. To welcome refugees is a spiritual and a political teaching. Donald Trump, Jr. brought this topic back to the news with an analogy that shows poor taste. There are numerous problems with this argument. For instance, the math is really bad. Refugees admitted into the U.S. are the most vetted individuals to enter our nation, so terrorists use other routes. And considering how unlikely any single American is to be killed by a terrorist act (by anyone, not just refugees), the bowl of Skittles here is minuscule compared to what it would need to be for the ratio to be accurate. But that's not the real problem. WE ARE TALKING ABOUT PEOPLE! Refugees are real people fleeing devastating violence, and most of the refugees are women and children. To dehumanize them is wrong. Here's how the makers of Skittles responded: "Skittles are candy. Refugees are people. We don't feel it's an appropriate analogy." Apparently a candy company understands the morality of the situation better than the leadership of a presidential campaign. Sad! Christians are called to love the 'least of these.' We must reject voices that urge us to hate and fear. We must not allow political rhetoric to trump biblical teachings. 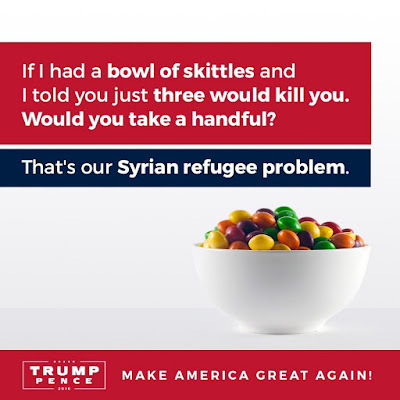 I also love Skittles, so I welcome them in addition to refugees. Enjoying a handful of #skittles with my Bible reading this morning. We must make sure we listen to the words of God instead of the fear-mongering of politicians. We are called to #welcomerefugees. So we must reject efforts to dehumanize #refugees, #immigrants, or other people. Also, skittles are delicious!